Miura Peninsula, 2015. Photo by: Robert Blasiak. Passing through the recently opened Suez Canal, he describes it as a “feat of global trade, but also an event of great consequence for the animal world. Just as ships come and go, so too the animals. […] Indo-Pacific species have entered the Mediterranean from which they had been cut off for millions of years.” The Prince Heinrich carefully charts a course through the coral reefs that dominate the Red Sea, and after a brief stop in the colonial port of Aden (present day Yemen), they are caught by the winds of the monsoon and swept southwards. Weeks later, while Doflein was marveling at the palm trees that line the coasts of Ceylon (present day Sri Lanka), “suddenly the entire ship was rocked by a massive jolt […] the officers ran back and forth in excitement, and did not answer any of our questions. The head engineer emerged from the engine room, covered up to his knees in black sludge.” The Prince Heinrich limps back to port, and has to be abandoned. Doflein notes that “it was ultimately ascertained that we had run into a coral reef that had not been indicated on the nautical charts, even though the Singhalese fishers knew it well.” Over a century later, this spot is still known as “Prince Heinrich’s Patch”, famous for its coral reefs as well as thousands of round stones from the English countryside that now litter the ocean floor. Long ago, spice traders from England had loaded their ships with these stones to act as ballast until they could be replaced with cargo in the Far East and tossed overboard. Map of Hong Kong and Macau from Franz Doflein’s book on his travels through Sri Lanka, China and Japan. Months pass with stops in Cochinchina (present day Vietnam), Macau and Hong Kong. Another of Doflein’s vessels sinks – this time with much of his collection equipment aboard. He finally arrives in Japan, and spends weeks in the northeastern part of the country studying the mixing of cold and warm water currents that result in such bounteous and diverse marine environments. But his final destination never leaves his mind: Sagami Bay. Here, just south of Tokyo and Yokohama, the ocean floor drops off to some of the deepest trenches in the world. 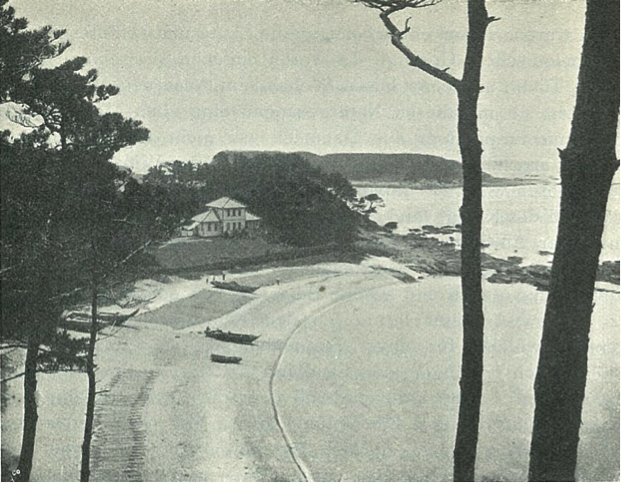 Marine laboratory in Aburatsubo, 1904. Photo by: Franz Doflein. The subsequent weeks are filled with discovery. A local fisherman named Aoki is famous for his skills, and has been given the nickname “Kuma” (bear) in honor of his strength and ability. “Using the simplest of fishing equipment, this man has brought up some of the rarest and most amazing animals from the limitless depths of Sagami Bay,” many of which are new to science, and described and named by Doflein. 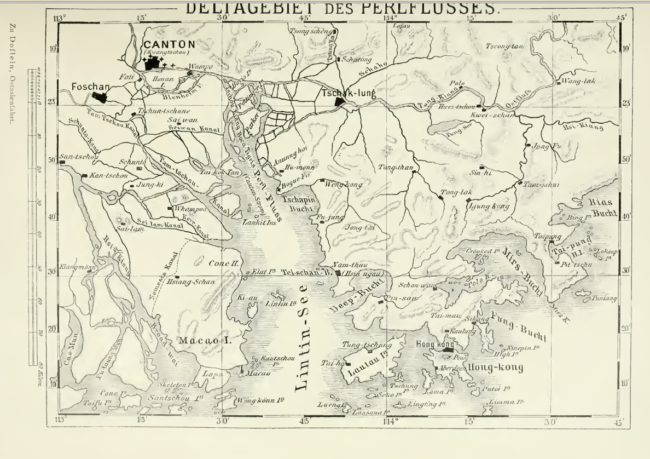 In 1906, Doflein published a record of his travels in German, and over a century later, I stumbled upon it. Realizing that the weekend walks on the Miura Peninsula were happier times than those sitting at the computer with a tough translation, by then I had become a researcher in a marine science laboratory at the University of Tokyo. Sharing a pot of coffee with one of the university’s recently retired marine science professors, I pulled out Doflein’s book and told him of Kuma and the marine station at Aburatsubo. Not only did he know all about the legendary Kuma, he had been to Aburatsubo himself, where even today professors from the university bring their students and guest scholars to conduct research. I am often struck by how much changed in Japan between Doflein’s visit and the time I spent at the University of Tokyo. A bibliometric study published this year in Marine Policy, for instance, found that Tokyo is among the most productive centers of marine science in the world today. Yet international cooperation seems to have helped spark this growth, for Doflein was one of several early researchers to find their way to Japan. 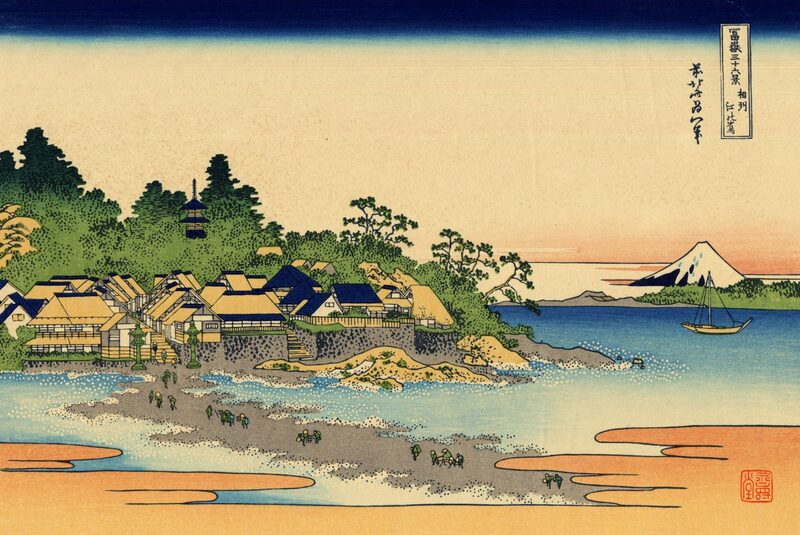 Perhaps the most famous of these was another German, Prof. Ludwig Döderlein, who was also fascinated by the Sagami Bay, and who shared this enthusiasm with a friend, Prof. Kakichi Mitsukuri of the University of Tokyo. In 1886, Prof. Mitsukuri established the marine station in Aburatsubo, and is now revered as one of the founding fathers of marine science in Japan. More than a century later, the Nereus Program is an exciting example of the promise of international scientific cooperation. Prince Regent Luitpold of Bavaria funded Doflein’s two-year voyage, but today it is support from the Japan-based Nippon Foundation that has brought together a group of leading scientists and young researchers from many different countries with a common goal of understanding the future of the oceans. As a recent addition to the program, I am excited by the collaborative opportunity – and every day, if a few minutes remain, I try to translate a paragraph or two of Prof. Doflein’s book into English so that it can someday find a wider readership and provide a glimpse into the beginnings of an international marine research collaboration that continues to thrive today.